NO Plywood, NO Particle Board. 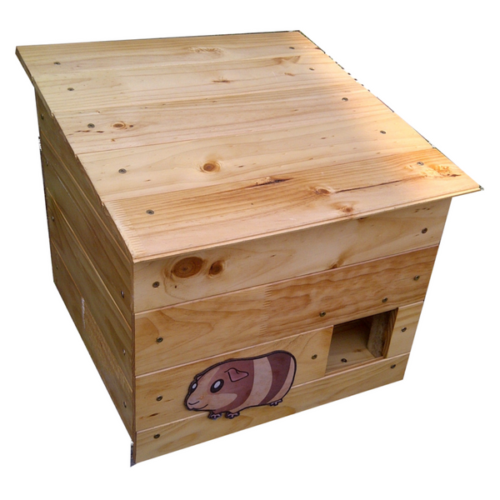 Dimensions: 500 mm x 430 mm x 520 mm (h) Note: The wood is sealed with the best available marine grade wood preserve. Also, the inside has been treated to reduce the risk of bee infestation. 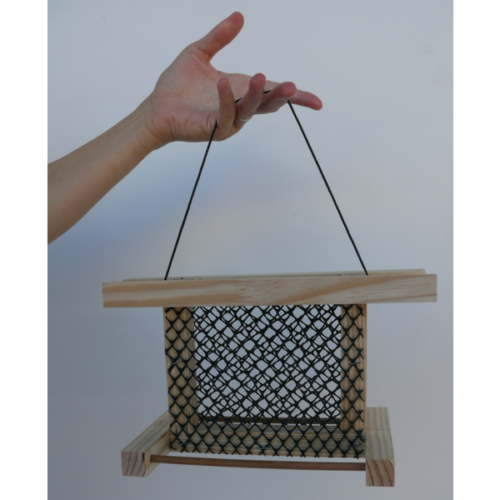 Bird Bread Feeder (R99, or for FREE) Discover what birds frequent your area. 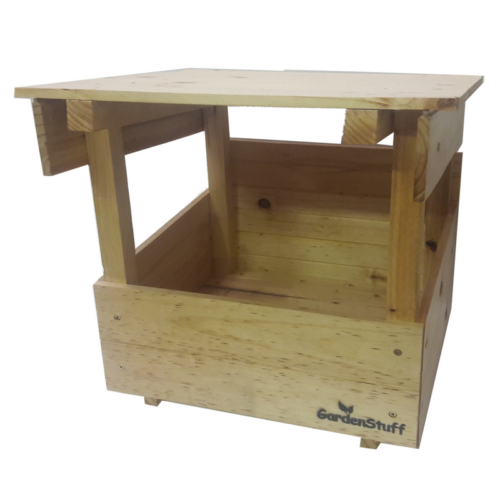 Claim this feeder for free at GardenStuff’s factory, if you spend above R500 there at your next visit. Please Note: Neither birds nor people do well on a diet of just bread and water. They need a balanced diet. Occasionally putting out some bread for the birds is not harmful. Please do not offer mouldy food. 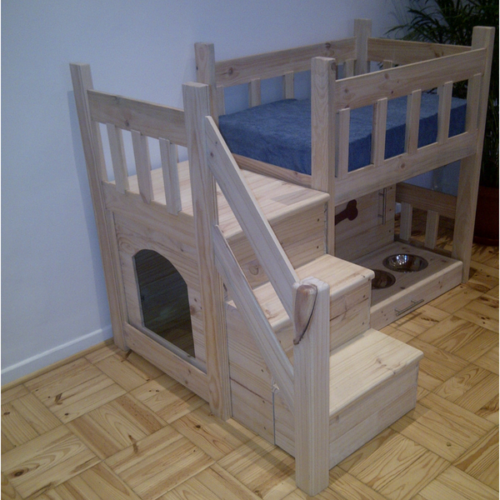 Doggie Mansion for a medium-sized (much-loved) Pooch. This unique, high quality, solid pine luxury home is entirely hand-made. The bottom step functions as a Storage Box with a lid, to keep toys, brushes, treats, documents, etc. The Feeding Tray can be pulled out to access the Food Storage Box behind it, which is on casters. The roof of the shelter is removable for maintenance purposes. 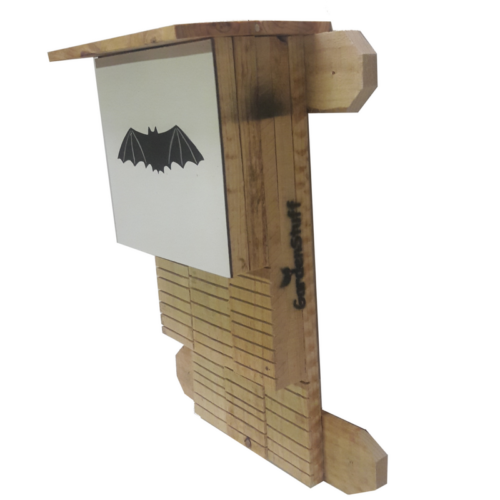 A bat box has to be made from untreated rough-sawn timber, which ours is. Importantly for the bats, it is rainproof and draft free. 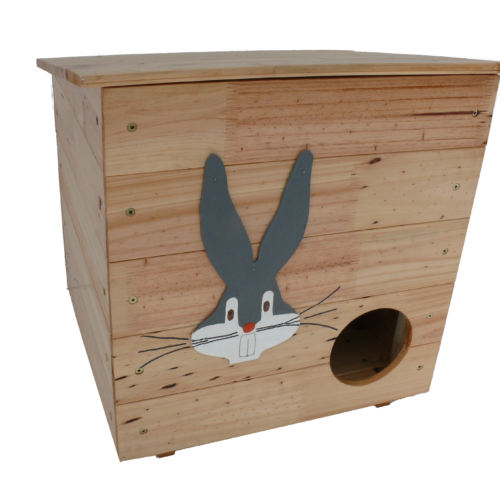 Importantly for you, the bat box is self-cleaning and maintenance free. 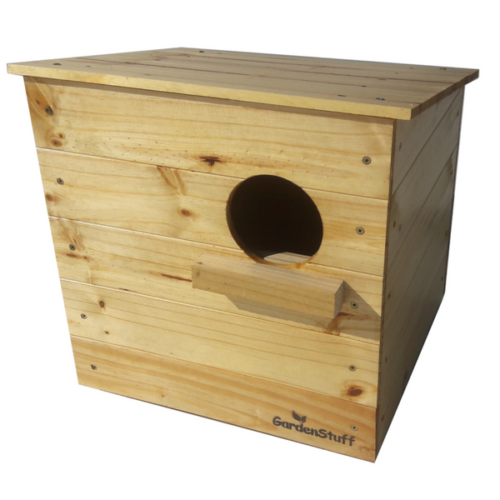 Ideally, the box is best fixed as high as possible in a sheltered wind-free position, exposed to the sun for part of the day. A clear flight line to the box is necessary. Our Bat Box has been constructed according to the guidelines of the Kent Bat Society. 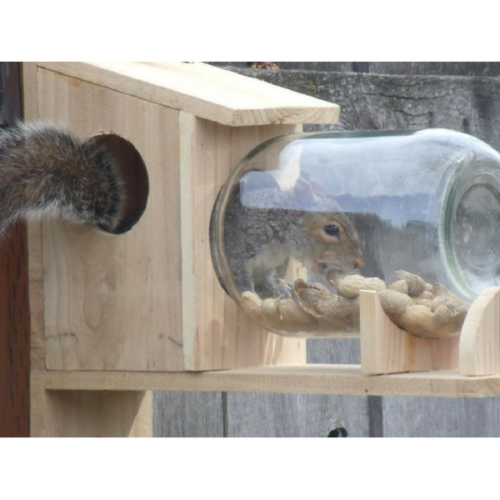 Glass Jar Squirrel Feeder, wall mountable. GardenStuff's Squirrel Feeders have been constructed with solid pinewood to survive the destructive behaviour of those little fellows. Also, they are treated with the best marine grade wood sealer available to endure the wet conditions in the Cape. The wood is sealed for outdoor use. The roof can be taken off. 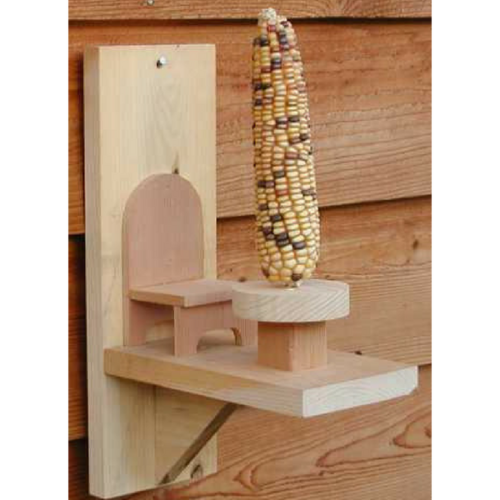 Millie (Maize cob) Feeder, wall mountable. GardenStuff's Squirrel Feeders have been constructed with solid Pine to survive the destructive behaviour of those little fellows. Also, they are treated with the best marine grade wood sealer available to endure the wet conditions in the Cape. 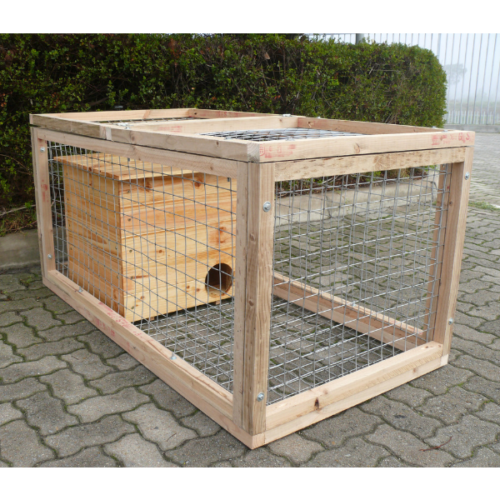 This 1.4-meter long, extremely robust cage protects the occupants from outside danger and at the same time prevents the rabbit from digging it's way out. It is on all sides enclosed with strong 50 mm galvanised welded mesh. The bunnies can still munch on whatever sticks through the metal mesh. The wooden shelter inside the cage has been treated for outdoor use and protects the furry friends from the elements. Its roof can be lifted off for access and maintenance. The ‘Carrot Cottage’ is a handmade, multi-level shelter with enough space to comfortably and safely house a small bunny family. 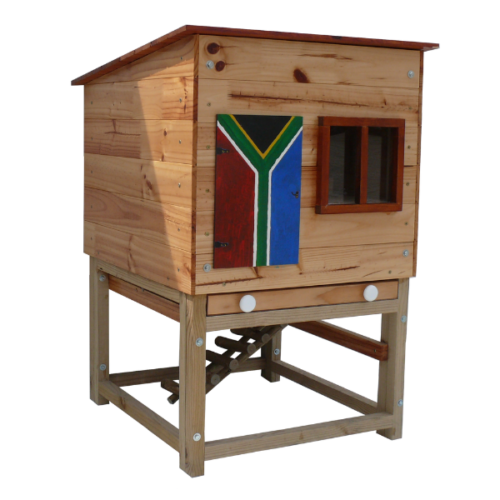 To build the sturdy hutch, we only use top quality solid pinewood, galvanised bolts and rust-resistant screws. We treat the timber with the best marine grade wood sealer available to outlast the harsh weather conditions in the Cape. Cleaning the inside of the portable house is pain-free, as it has a slide-out cleaning tray and the nesting platform can be taken out after lifting off the roof. The detachable ladder allows access into the lockable door from the sun and rain protection area underneath the house. 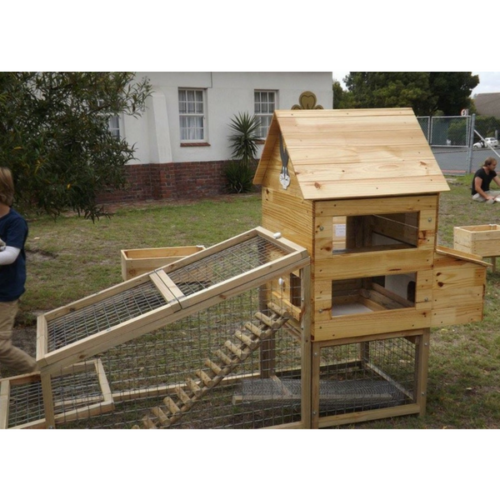 A framed Perspex window lets sufficient light into the multi-level playground, and you can check what's going on inside this one of a kind rabbit hutch.